The 2015 Kia Soul EV electric cars are the 19th plug-in vehicles to hit the state’s market. However, only select California dealers will sell the zero-emission 2015 Kia Soul, and the Korean automaker expects that demand for the 2015 Kia Soul EV will easily outstrip supply. It’s easy to understand that Kia has been careful entering the EV market since Ford would get a major price cut of $6,000 on its 2015 Ford Focus EV in an effort of making even the minimum number of sales required under California’s zero-emission vehicle sales rules. On the road, the Kia Soul EV is well mannered and, like most electric cars, provides a comparatively soothing driving experience. A 109 hp electric motor operates smoothly and quietly, whether under acceleration, while coasting or in regenerative braking mode. The Kia Soul EV has been rated at 93 miles of range and 105 MPGe – putting the “family vehicle” near the top of the market in that regard. As a comparison, amongst larger publically available electric cars, the Soul EV’s 93 mile range is exceeded only by the Tesla-technology-using Toyota RAV4 EV (range of 103 miles), which is a compliance car about to be discontinued and the two Tesla Model S versions currently on the market (ranges of 208 and 265 miles). With three ways to charge, including standard DC Fast Charging that is capable of providing an 80 percent charge in about half an hour, the Kia Soul EV can be recharged at home, the office, and any of the thousands of public stations. The ultra-dense battery features more energy in a more-efficient package, giving you a longer driving range and greater cabin room than most others in its class. 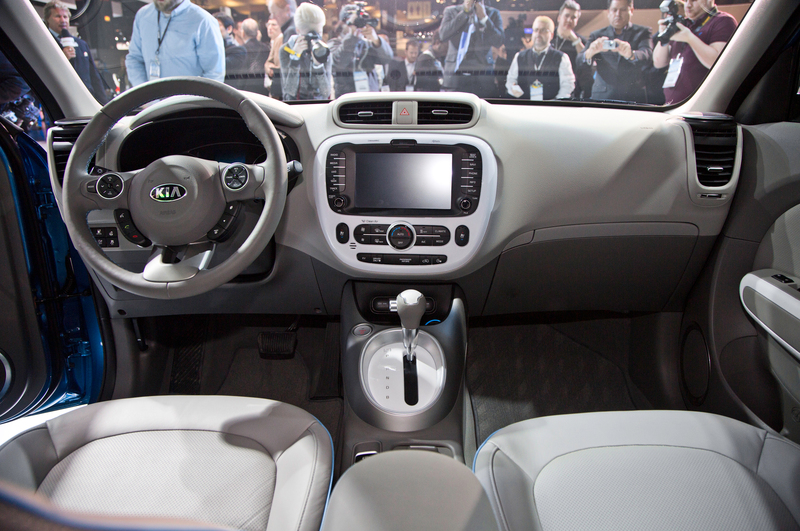 Inside, the Kia Soul EV includes eco-minded materials that emphasize the car’s green credential. 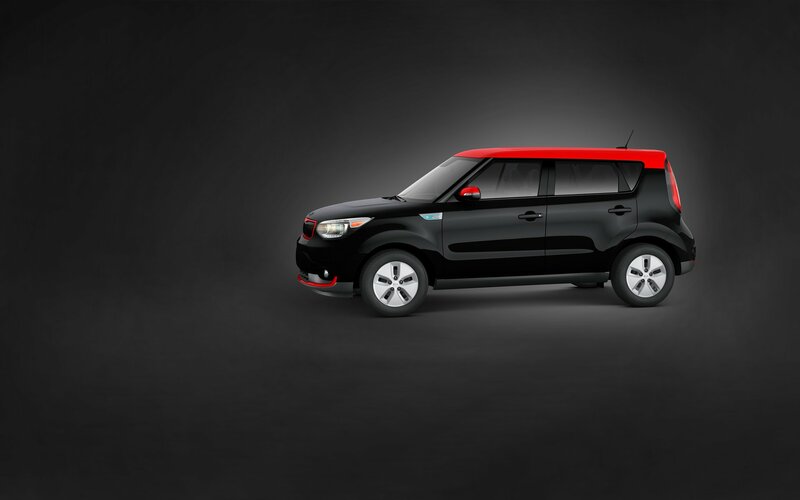 From the debut of the Organic LED (OLED) 3.5-inch display to the climate-control technologies that maximize driving range, the Kia Soul EV comes loaded with energy-smart innovations. Kia also built a free smartphone UVO EV Services app and advanced in-car telematics system that can help you manage the EV way easier. The starting price for the 2015 Kia Soul EV will be $34,500 – when you then subtract the $7,500 federal income-tax credit for EVs and the $2,500 rebate currently available through the California government, the $24,500 price tag certainly seems competitive. It’s still too early to discuss the success of Kia Souls EV in the States, like Tesla and Nissan. Whether or not Kia becomes a key player as it inevitably matures is yet unknown, the 2015 Kia Soul EV shows solid promise. Share your comments with us.